Once the seer, the priestess and the sage were revered by their community. Their roles were considered sacred - the practising of an art, requiring training and experience like any other art. All these individuals tuned into their 'psycho-spiritual' powers on our behalf. But each of us has always had the ability to draw upon these powers directly, inside ourselves. 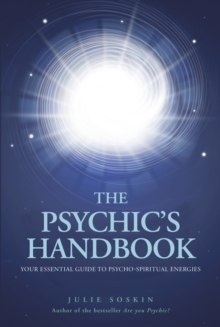 This book shows us not only how to exploit our psycho-spiritual potential, it also shows us how to navigate the different realms of inner experience that are our birthright. Psycho-spiritual powers can take time and expertise to discern, especially for the novice. How do we know what we are dealing with? Does the 'information' made available to us derive from the subtle energies around the body or does it come from some discarnate being? Or perhaps from an alter ego, the personification of hopes and fears from aspects of our projected selves? This book is drawn from research and first-hand experience from thousands of consultations and teaching sessions over many years. In addition, the author, at the end of each chapter, uses anecdotes to illustrate and enlighten the reader, and these are sometimes humorous, sometimes sad, sometimes philosophical, and always true. Well-implemented psychic and intuitive guidance can help to move the individual towards wholeness - a new dawn based on working with the heart and the energy of unconditional love. This in turn radiates out to affect the whole of our society.